FINISHING HOUSE—Written by Jack Hanley and directed by Christopher Eaves, FINISHING HOUSE premiered at Dixon Place (Chrystie Street) on MAR 6, 2009. All hail the United States of Health! And all do. But rumors are spreading of a covert budgetary agency capping the life span of citizens. Elizabeth, living in a remote gentleman’s farmhouse in Connecticut, is fraught with paranoia of her own blue-blood husband. Is he one of the secret agents culling Americans with a mysterious device called the passion light? Everything is at stake for Elizabeth, her lavish organic farm of strawberries and the safety of her homosexual son, a son destined for quarantine after sleeping around with her quality-controlled illegals. She’s no revolutionary. But the stranger at her door may be. FINISHING HOUSE was performed by Natalie Ferrier, Jessica Howell and Bob Jaffe. Scenic Design by Leonel Valle. Lighting Design by Stephen Quandt. Sound Design by Joshua Coleman. Wardrobe & Makeup by Yveyi Yi. Original Music by Sarah Lynch. Stage Management by Ashley Hughes. 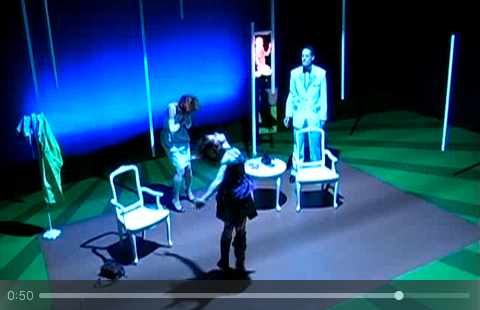 The workshop production of FINISHING HOUSE played at Dixon Place (Bowery) in MAR, 2008 and was performed by Phil Colosi, Natalie Ferrier and Gloria Jung. 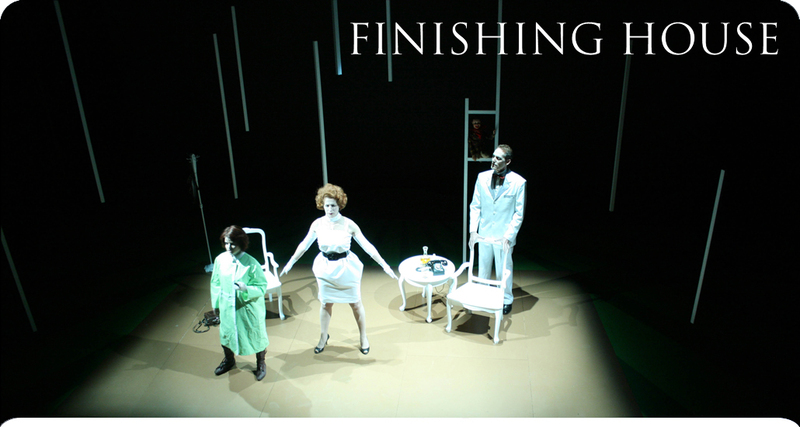 The 2009 production of FINISHING HOUSE was supported by Dixon Place's Mondo Cane! Commission Series. Produced by eavesdrop. portable synthesizer keyboards to PS/IS 66, Brooklyn so students can rehearse music at home. Copyright ©2019 Christopher Eaves | eavesdrop®. All rights reserved.